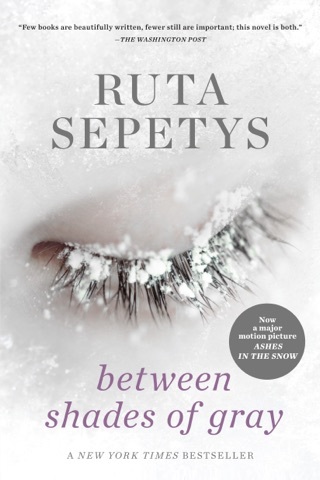 For readers of Between Shades of Gray and All the Light We Cannot See, Ruta Sepetys returns to WWII in this epic novel that shines a light on one of the war's most devastating—yet unknown—tragedies. 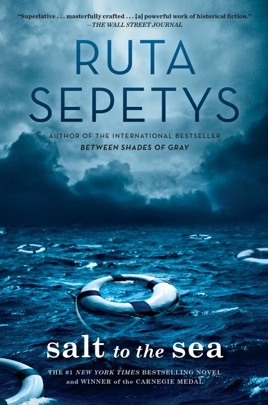 Sepetys delivers another knockout historical novel, after Between Shades of Gray and Out of the Easy, that offers insight into the ugly realities of WWII and culminates with a forgotten event, the sinking of the Wilhelm Gustloff. 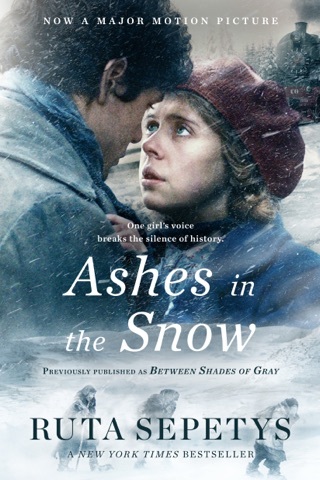 Set in East Prussia during the brutal winter of 1945, in the waning days of the conflict, and tautly narrated by four strong, distinct voices, the narrative highlights the plight of refugees as Germany tries to evacuate soldiers and civilians: "The brutality was shocking. Disgraceful acts of inhumanity. No one wanted to fall into the hands of the enemy. But it was growing harder to distinguish who the enemy was." 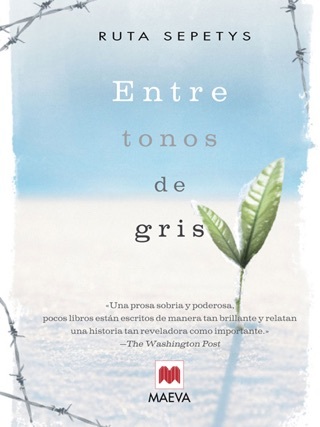 The narrators include Florian, a Prussian boy carrying a secret parcel; traumatized 15-year-old Amelia, a Polish girl without papers who hides a mysterious pregnancy; Joana, a repatriated 21-year-old Lithuanian nurse, who believes she's a murderer; and Alfred, a German soldier who imagines writing self-important missives to a girl back home. 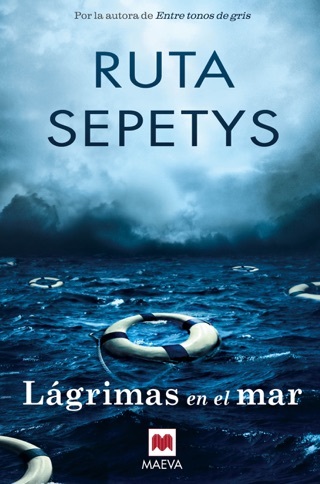 Their stories collide first as the three refugees travel through the countryside with a larger group, and then as they try to gain passage on Alfred's ship, the Wilhelm Gustloff, which is doomed to maritime disaster with casualties exceeding those of the Titanic and Lusitania combined. 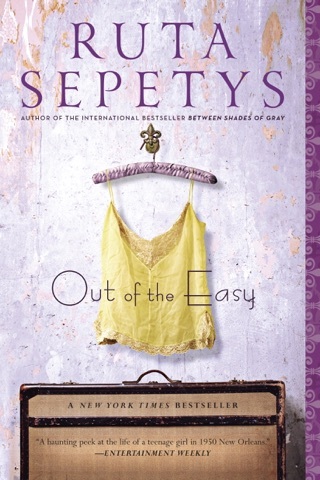 Sepetys excels in shining light on lost chapters of history, and this visceral novel proves a memorable testament to strength and resilience in the face of war and cruelty. Ages 12 up. As a current Soldier in the Army, I am blown away that I had never heard of this historical event. Aside from that, it is very rare that I connect with characters in such a deep way that I am genuinely saddened and, in this case, brought to tears by the outcome. 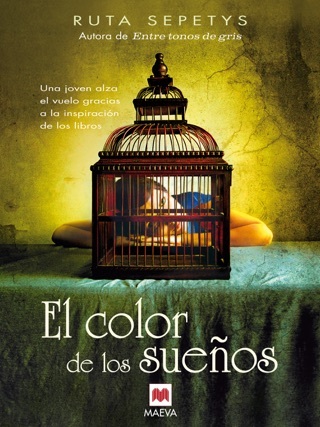 This is, in my opinion, the best book I've ever read. I loved the switching of perspective and I really thought it enhanced the story. The problems of the characters were real and the characters were compelling but flawed just enough to make them human and relatable. The world needs to know of this tragedy and the number of souls that it took from this world. They also need to know about selfishness of some and what at selfishness caused them. (Spoilers read on at your own risk) The one thing I thought could have been better was Emilia's last chapter after we can come to the conclusion that she has died. In the chapter she speaks about her daughter (about 5-6 at the time) Halinka and other family members or friends that have died or she has been separated from. You can interpret it that Emilia is dead and this is her Heaven or she is on the verge of death and is dreaming/hallucinating it all. Other than that I give this a ten out of ten for its compelling characters and interesting plot. I thought it was wonderfully written and the changing of perspective and how different all of the character traits were was refreshing. It brought a new modern light on a old tragedy the world has forgotten and left behind in its past. This needs to made into a movie!!!! !